Are you passionate about the role that emerging technologies can play in the future of media? Do you have a story that can only be told using technology outside the scope of traditional media? A Brown Institute Magic Grant might be for you. Established in 2012 as a collaboration between Columbia University’s Journalism School and Stanford’s School of Engineering, Brown Institute Magic Grants seed innovation in the changing media landscape. 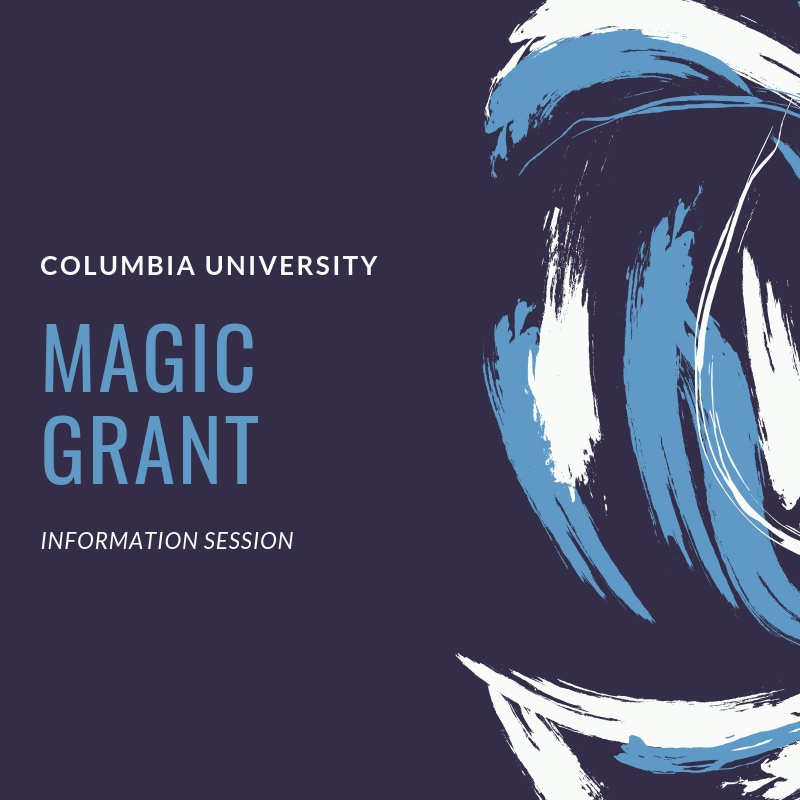 Magic Grants provide year-long funding awards of up to $150,000 ($300,000 for teams with members of both the Columbia and Stanford communities). In addition to funding, grantees have access to a distinguished advisory and mentoring group, an extensive and inspiring alumni network. At Columbia, there will be sessions held on Thursday, February 21 at 12:00pm and Thursday, March 7 at 5:00pm; both held in the Brown Institute (Pulitzer Hall). Office hours are also offered every Thursday from 1-3pm. To register for office hours, please visit brwn.co/questions.